Read the sweet story of Tess's Tree, written by Jess M. Brallier and illustrated by award-winning artist Peter H. Reynolds. Then, complete the supplementary activities written specifically for the study of this book. When six-year-old Tess's favorite tree must be cut down, she holds a funeral service. There, she meets the different people who have loved and played on the tree. Read this sweet story, written by Jess M. Brallier and illustrated by award-winning artist Peter H. Reynolds, online at Funbrain.com, a kids' site for educational entertainment. 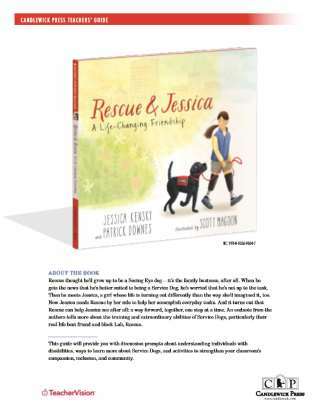 Print out a copy of this interview with author Jess M. Brallier for your students to read. Afterward, have them write their reactions to the interview. Ask them if any of his answers surprised them and what they would like to ask Mr. Brallier about being a writer. Print out a copy of this interview with illustrator Peter H. Reynolds for your students to read. Afterward, have them write their reactions to the interview. Ask them if any of his answers surprised them and what they would like to ask Mr. Reynolds about being an illustrator. After your students have read Tess's Tree (or you have read it to them), help them find the main idea to the story, by using the think-aloud strategy and a customizable graphic organizer. What do your students think happen to Tess the day after the story ends? The next month? Does she pick a new tree to swing from or does she find a new best friend? Ask your class to continue the story by creating a new adventure for Tess. Ask your students to think about their own best friends. What would they do if he or she had to move away? Encourage your students to write their best friends a note expressing how much they mean to them. Then, encourage them to write and illustrate their own story of friendship using Tess's Tree as an example. At the funeral for Tess's tree, Tess's teacher reads a poem she wrote about swinging from trees. Have your students write their own poem or speech about something they love to do or a favorite thing, then ask them to read it to the class as a way to practice their speaking skills. Tess liked to swing from her tree. What other things are trees good for? Survey your students' ideas about how trees are useful. Then, you can fill out this worksheet with your students, which lists the benefits of trees. Encourage your students to reflect on the story in their reading journals. Tess gets very upset when her tree is cut down. Ask you students about a time they've been really angry or sad. Talk about emotions with your class, and discuss with them why it's okay to express how they're feeling.